The European Union anticipates the possibility of London postponing the date of departure. This does not solve anything. European Commission chief Jean-Claude Juncker and EU Council President Donald Tusk tried to persuade the British one last time before the decisive vote of the British Parliament on Tuesday evening: In a joint letter to London they described the disengage agreement negotiated with May as “fair”. And they also said that the emergency solution (“backstop”), which should avoid a hard border with Northern Ireland, would ideally never come into force. And if it does, then only until a better solution is found. A concrete end date for the backstop, as London wishes, is not found in the letter. No one wanted to believe in Brussels yesterday that this appeal could change the skeptical delegates in London. And so, behind the scenes, most diplomats entrusted with Brexit negotiated the scenario of an extension: in order to avoid a hard Brexit, ie unregulated and, so to speak, in freefall, the British government could ask the EU-27 to withdraw by a maximum of three months. 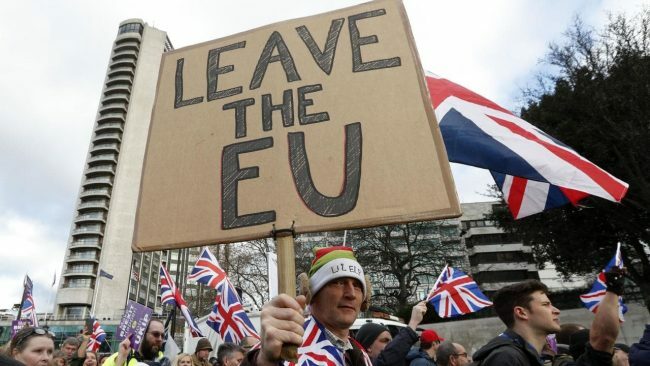 “The very last time the United Kingdom would have to quit would be just before the new EU Parliament to be elected in May convenes for its first meeting (end of June),” it said to the KURIER from negotiating circles. But it is also clear: “We then need to know why we should extend at all.” In other words: EU governments would only approve a postponement if, for example, new elections or a referendum were scheduled, or if the contents were completely identical in the event of changes.